Here are some photos and brief profiles of some Team members. If you were once a member of the Team and are not featured here please contact the webmaster for inclusion. 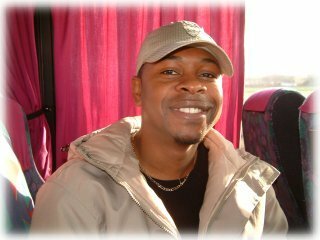 Born in Ohio on 4th July - brother of Edwin - Angelo's life has always been split between technology and music. 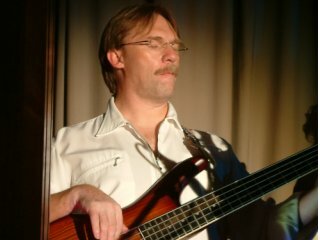 He plays bass, drums, piano but his favourite instrument is voice or guitar. He has played from the age of 8 moving through violin and cello. 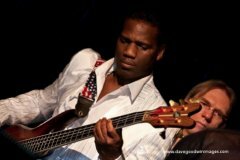 Musically The Team is his home-base band, but he also plays for Gwen Dickey, Alexander O-Neal, Lemar, The Funk Brothers and others. His perfect day would be listening to music with melody, such as fusion jazz, George Duke etc. He likes books on technology and likes cycling. He has a wide palate, enjoying Chinese, Mexican and Indian food preferring iced tea as a beverage as he is teetotal. As a luxury he appreciates a quiet lifestyle. Been with The Team since 1988, (my Gad!) Beverley, a Pisces, hails from Bournemouth and now lives on the edge of the gorgeous New Forest. By day Beverley is Miss, - Director of Music in a private school so she has plenty to get on with between gigs. 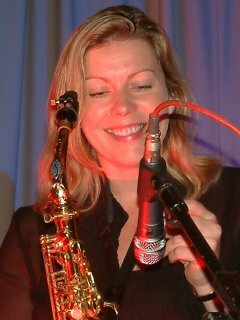 In her "spare" time Beverley has played with many different high quality acts between shows for Edwin and Angelo including The Red Hornz, Carwash, Clem Curtis The Chicago Blues Brothers as well as La Di Dah, GOJO, The Bobcats and The Ratpack. 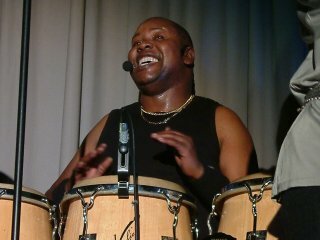 Bid is a world renowned drummer, songwriter and record producer whose career spans over 20 years. For the majority of this time he has been the back beat for the Team and has also co-written/produced platinum and gold selling albums for Warner Brothers act Arkarna as well as working with Lily Allen, David Jordan, TATU, Texas, Skin, Mint Royale, The D4, Blazin' Squad and more. 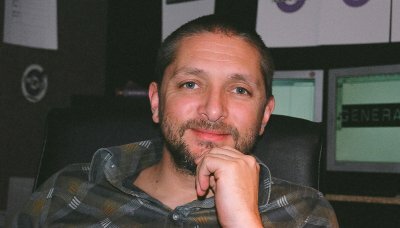 He is the director of the independent record label the Download Generation who instigated the recording of 'Keeping the Faith'. Carlton was born in Chesterfield and has been with the Team since 1988. His background is Gospel and his first instrument was a guitar at the age of 8. His most memorable gig was his first with Edwin, when, as a stand-in, he had to cope with dozens of solos that Edwin threw at him. His perfect day would be in the Dominican Republic watching the "Shawshank Redemption", reading "The Godfather" and listening to jazz and soul. He prefers home-cooked food washed down with Ribena or red wine. His luxury would be his own villa with swimming pool and gym. His favourite team is Manchester United and if he could have a choice of any car it would be an Aston Martin. Born in Birmingham in 1966, has played with The Team since around 1990. 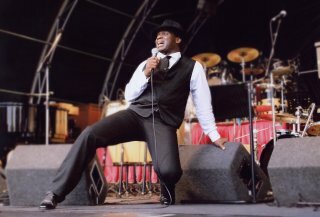 His favourite memories are those playing with the Four Tops and the Temptations and working in locations such as Bahrain and Dubai. He like all kinds of music and would spend his perfect day in his own villa in Florida eating Chinese food and sipping brandy & coke whilst watching comedy movies. After that he'd do a bit of jet-skiing and spend time with a good woman who would be working hard to fulfill his ambition to get some of his music published. Born in Marston Green, Clive is - along with Kevin - an original member of The Team. He would spend his ideal day in Jamaica listening to Yellow Man and other reggae music whilst eating Jamaican food, particularly stewed peas. Ginger beer is his favourite tipple and he likes weight-training, karate and boxing. He would consider it a luxury to be happy, driving a BMW or Lexus 4x4. On the sports front he likes the Globetrotters and supports....his legs! He does have a memorable experience with The Team - when he had a coughing fit on stage which resulted in the lack of a certain bodily function. Jonah is one of the original Team members and is now back with us when available. Joining The Team in 1996, Ingrid is Nottingham-born and is happy to be chauffeuered everywhere. 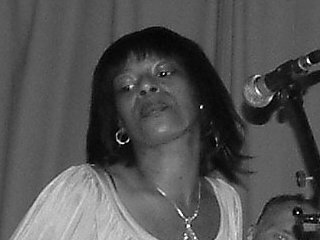 She rates the gig in Belgium with James Brown and playing in Africa and Kuala Lumpa as her memorable occasions. If stranded on an island she would prefer Mauritius with a cinema showing any Tom Hanks movies like "The Green Mile" or "Castaway". A favourite book would be "The Best A Man Could Get" and her preferred food is Chinese or Indian accompanied by any alcohol! Ingrid would also wish for one luxury - her comb! Gymnastics is her favourite spectator sport. Born in Handsworth, James has been on The Team since 1991. Learning music with the guitar in 1976 he has been playing music in earnest since 1981. The alto-sax is his first love but he also plays tenor and soprano sax and flute. After he gave the guitar to his brother he was later asked to learn another instrument in order to join his brothers band which had in the meantime become very successful. The inevitable happened however and his brother's band split up leaving James high and dry. Although he was also training as a toolmaker he had no chance to finish his toolmaking apprenticeship due to the firm going bust and he decided to put his efforts into music. 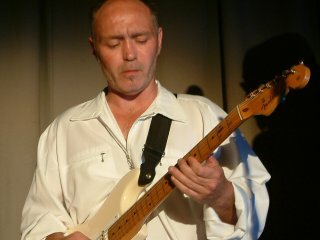 After working his way through the musical grades he joined BB James band in 1982. BB James' manager also produced Musical Youth and he promptly asked James to tour the Caribbean with them. 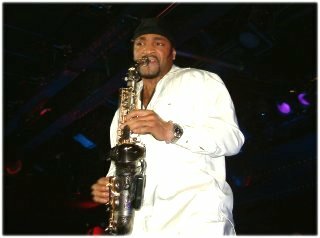 In 1985 Steve Morrison, Pato Banton's trumpet player, asked James to form a brass section to support Edwin at a gig in a Tamworth school - James' first gig with Edwin. 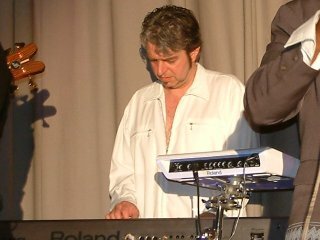 Later James joined Ruby Turner, who Clive was also playing for, and a years tour with Ruby ensued. 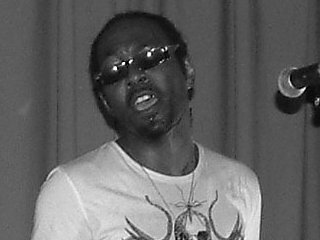 In 1986 James recorded an album with Pato Banton whom he joined on Pato's second US tour. He still regularly plays for Pato as well as The Team. The final connection with The Team was at Minehead in 1991 when he stood in for Beverly and Edwin asked him to stay. Although not primarily a bass guitarist, Kevin has been playing with The Team since its formation. He was born in Birmingham in 1959 and naturally supports Birmingham City. Kevin's perfect day starts in the Maldives listening to anything from Punk to Buddhist chants but particularly Eva Cassidy. He would probably be watching Terminator II or The Matrix whilst reading Lord Of The Rings. After the movie he would have a meal of rice, pasta or fish swilled down with Gaelic Coffee. As an activity you'd find him swimming, climbing or scuba-diving with his single wish for a luxury being good health. Look for the Aston Martin in his garage though! Hailing from Nottingham Patrick has been with The Team since around 1996 with one of his personal Team highlights being the launch of Eraser with Arnie and also when they met Prince. His perfect day would include watching "Whatever Happened To Baby Jane" and reading "The Alchemist" and eating West Indian food. He supports Man U and as a luxury would like a remote control for everything! Born in Solihull, first Team appearance was at the Roxy in Sheffield on 18 May 1987. He wishes for a perfect day of sun, sea and sand listening to jazz, blues and soul but with a particular liking for Steely Dan. His favourite vittles are Italian food and Red Wine which he would prefer to consume whilst waching the Baggies (West Brom) after a swimming session. If a choice of cars was offered he would take a 4x4 diesel and his ambition is to do an album of his own music of which he has written loads.